Jack’s Small Engines is looking for the next YouTube star of outdoor power equipment. Have you made your own DIY repair/maintenance videos before? We’ll, if you’re a small engine mechanic who can show off your skills on camera, we want you to be the host of Jacks Small Engines TV (YouTube DIY Repair Channel). Combine your mechanical knowledge with an on-camera presence, and get paid! 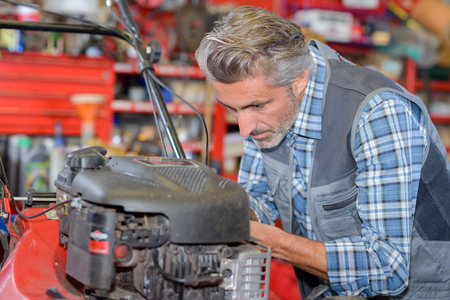 Present and record various small engine and outdoor power equipment repair and maintenance tasks, such as replacing a lawn mower blade, changing the oil, installing a new carburetor, etc. in our indoor video recording studio. Video dialogue and step-by-step instructions should follow proper small engine repair procedures/guidelines, as to ensure proper completion of task and safety for viewers. Ability to explain repair procedures, best practices, recommendations. Maintain & organize a video work-flow / schedule. Excellent communication, articulation, improvisation skills.